“What I object to most is the appalling and systematic trivializing of the pastoral office. It is part of a larger trivialization, that of the culture itself, a trivialization so vast and epidemic that there are days when its ruin seems assured. There are other days, though, when we catch a glimpse of glory – a man here, a woman there determined to live nobly: singing a song, telling a story, working honestly, loving chastely. Pockets of resistance form when these men and women recognize each other and take heart from one another (p.37)…. …’What do you want to do?’ [the deacons asked me]. I had an answer for that, but I didn’t know how to do it. My answer was that I wanted to deal with God and people. I told them, ‘I want to study God’s word long and carefully so that when I stand before you and preach and teach I will be accurate. I want to pray, slowly and lovingly, so that my relation with God will be inward and honest. And I want to be with you, often and leisurely, so that we can recognize each other as close companions on the way of the cross and be available for counsel and encouragement to each other’ (p.39)…. 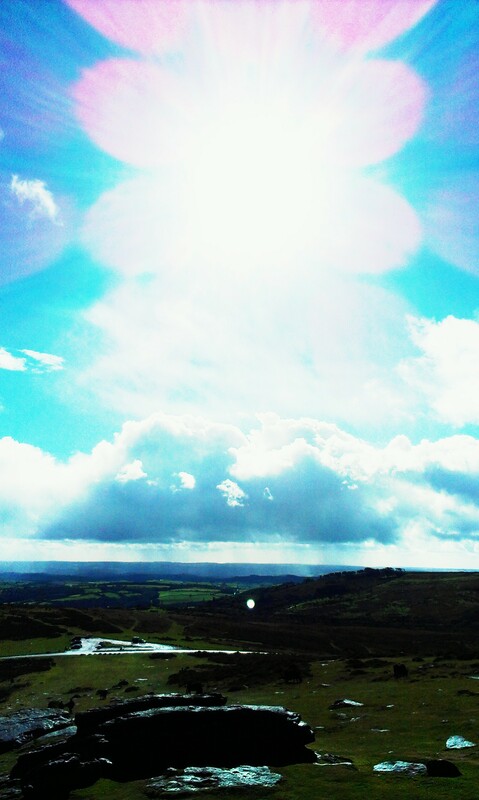 The picture was taken by me on my phone when on holiday in Devon in 2009.